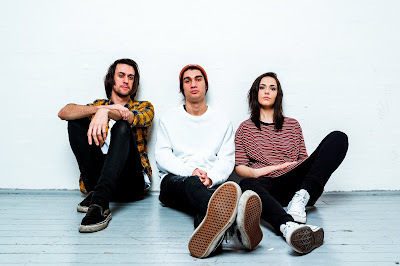 Stand Atlantic premiered their new video for “Skinny Dipping”, the third single off of their upcoming album "Skinny Dipping", now available for purchase. "Skinny Dipping" is the follow up to the Australian pop-rock’s trio 2017 EP "Sidewinder", and their debut for Hopeless Records. Speaking about the new song, vocalist/guitarist Bonnie Fraser explained, “"Skinny Dipping" is about coming to terms with who you are. Sometimes addressing your own truth can be a very daunting thing and feel so isolating. "Skinny Dipping" is about releasing that fear and accepting yourself completely”.